Northumberland is a county steeped in history and has many Castles. Some, such as Alnwick and Bamburgh are magnificent castles that are complete and lived in, whilst others such as Edlingham are more modest ruins. All have a very interesting history and have played important roles in the past. The castles of Northumberland are unmissable when visiting this ancient county full of history and intrigue. Read more about our amazing castles below and make sure you plan a visit to at least one during your stay! One of the most famous and exciting members of the Percy family was Harry ‘Hotspur’ Percy, whose statue you can see in one of the courtyards of the castle. Hotspur was born in Alnwick Castle and whilst only a teenager was brave enough to go into battle against the fearsome Scots! He quickly earned the nickname ‘Hotspur’ for his great courage and impetuousness. He became such a famous knight that he was immortalised by Shakespeare in his play, Henry IV. 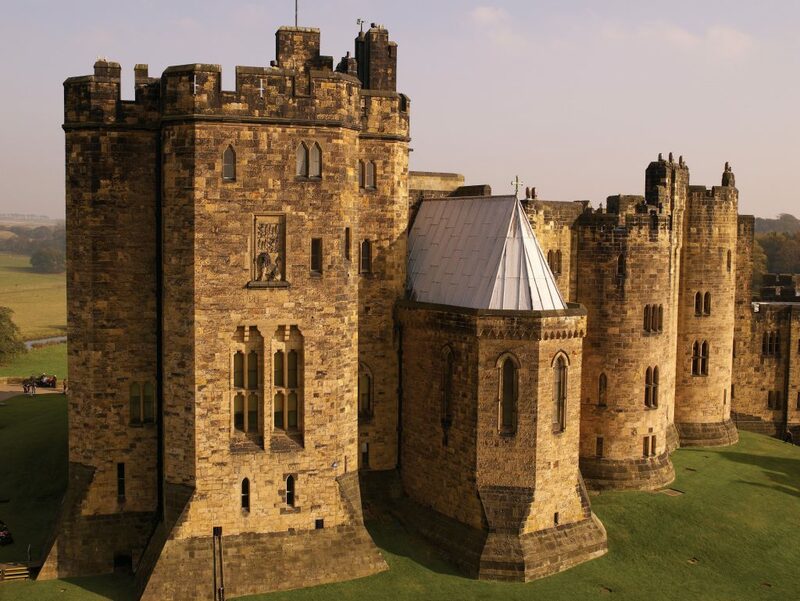 Generations of family members have contributed to both Alnwick Castle and the Estate, adding land and property, fine art and collections, which combine to make Alnwick Castle a truly unique place to visit in Northumberland. 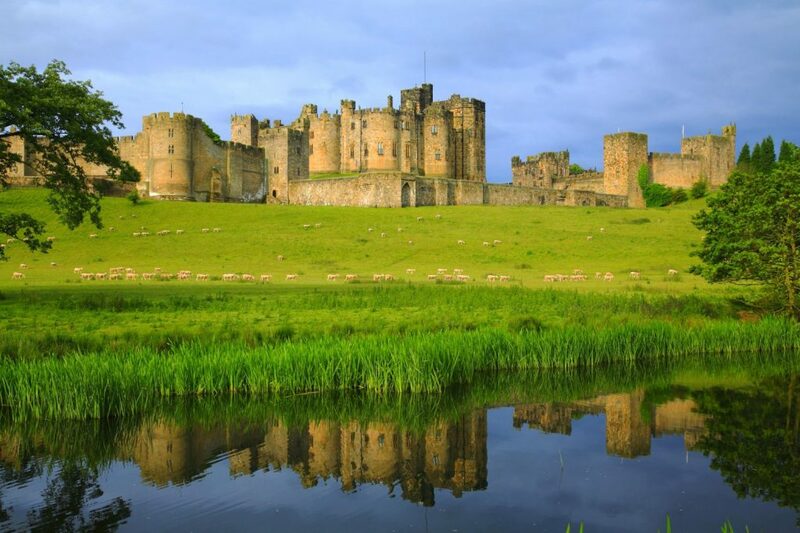 Throughout history, the Percy family have combined their commitment to Alnwick with their duties as a powerful noble family and royal servants. The Percys’ have always been involved in milestones in our national history, participating in the medieval Crusades, the Tudor Pilgrimage of Grace, the Gunpowder Plot and both World Wars. In 2009, the Percy family celebrated an incredible 700 years in ownership of both the Castle and the Barony. The Castle archives contain a priceless treasure: the purchase charter confirming that on 19th November 1309, Henry Lord Percy bought Alnwick Castle from Anthony Bek, the Bishop of Durham. Unfortunately, we can’t tell how much Henry paid for the Castle, but evidence of a loan taken out at the same time, and a buy-back clause inserted into the charter by Bishop Bek, have led historians to believe that the sale price was likely to have been between £2,666 13s and £6,666 13s, a small sum to pay for such a majestic castle! 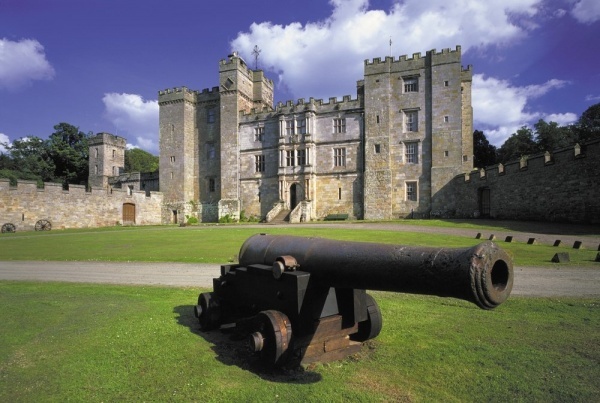 To mark this special anniversary, there is a new exhibition at Alnwick Castle. Designed for adults and children alike, it leads you on a trail of discovery through the Castle’s turbulent 700 year history and the fascinating personalities of members of the Percy family. Click here to read more about Alnwick Castle and Gardens. Spanning nine acres of land on its rocky plateau high above the Northumberland coastline, Bamburgh is one of the largest inhabited castles in the country. Archaeological history dates back to the 1st century BC, showing that the Celtic tribe was probably the first occupier of the land. During the Roman Conquest, Bamburgh was occupied during the invasion as soldiers advance into Scotland before retreating south to Hadrian’s Wall. The coastline is vulnerable to seaborne raids and coastal defence was critical. Bamburgh’s commanding crag top position is viable for miles and put to good use as part of the Roman beacon coastal defence system. Bamburgh is known as “the very foundation stone of England”. 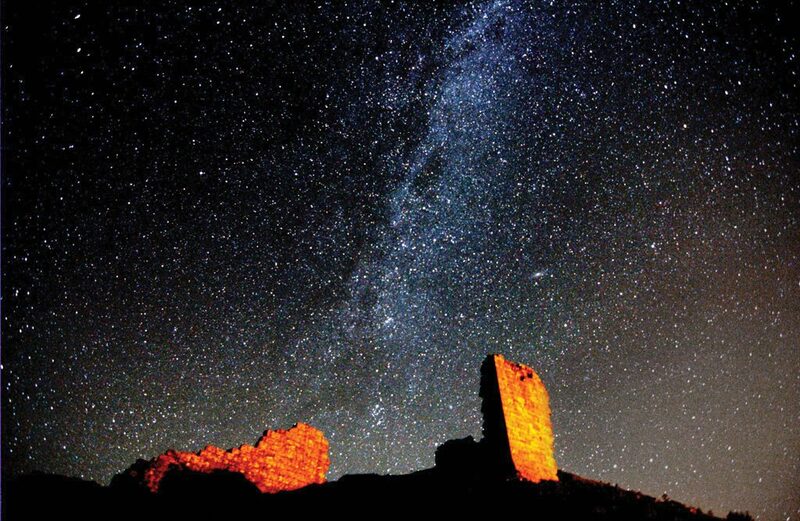 It is a royal city and was home to the Kings of Northumbria. The wooden huts originally built in BC were replaced by a royal palace. Many royals inhabited Bamburgh Castle, some adding their own personal build on to the castle grounds. Today, the castle is open to visitors and for tours. To find out more fascinating history about the castle, go and visit it for yourself! Click here to read more about Bamburgh village. Belsay Castle dates back to the 14th century when it was built as a fortified tower house. It was extended in the 17th century with the addition of a Jacobean Manor House. You can spend hours exploring inside and out on fair and wet weather days. The Hall is an unfurnished architectural masterpiece inspired by the temples of ancient Greece, with its fabulous Pillars. Explore the great room of the ruined medieval castle and don’t miss the stunning views from the top of the tower. Outside, there are the huge grounds. A grade I listed heritage garden, lovingly restored and packed with an impressive array of shrubs and flowers which change with the seasons. The high point of any visit to Belsay is the unique Quarry Garden is a fantasy of ravines, pinnacles and exotic plants, no wonder Belsay Hall is one of the most loved visitor attractions in Northumberland. The castle and grounds are managed by English Heritage and are open to the public. There is also a lovely Victoria Tearoom where you can sample some delicious homemade cakes and lunches. 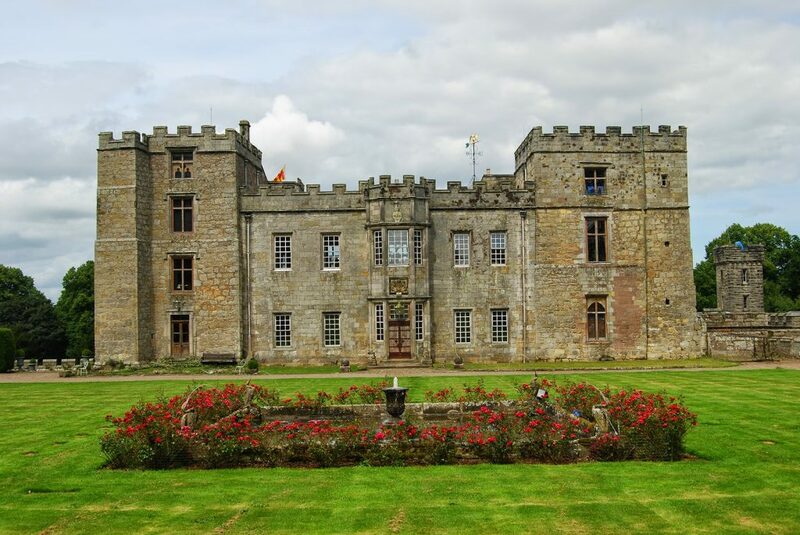 This ancient and remarkable fortress of Chillingham Castle is the home of Sir Humphry Wakefield Bt., his wife The Hon. Lady Wakefield and their family. Since 1246 the Castle has been owned by one continuous blood line with the Earls Grey ruling the Castle for the founding centuries. Those Grey Lords built the Castle’s alarming dungeons and torture chambers, as well as the beautiful parklands and gardens. In the Castle you will see active restoration of complex masonry, metalwork and ornamental plaster as the restoration continues. A wide diversity of styles in the rooms spells out successive fashions through the early centuries, which gives an educative and vibrant difference to this ancient Castle. Today, it thrives with day to day family life and also events relating to music, drama, mountain rescue, child welfare and other local interests. The castle has many interesting rooms such as the Torture Chamber, complete with iron maiden, executioners’ blocks and thumb screws. It also has a dungeon, used for imprisonment as well as for hiding people. There are diaries and accounts scratched on the walls and a ‘drop’ in the floor, leading to deeper chambers. 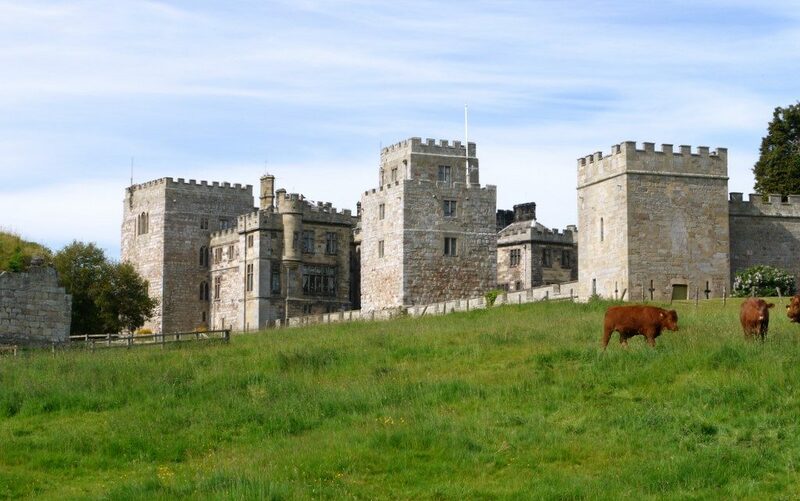 This spooky castle makes for a fantastic day out for all ages, and as well as the castle itself, it is also home to the famous wild cattle of which they are the only of their type left in the world. You can visit the cattle with the Warden and they will explain their past and way of life. These endangered animals are more rare than any Panda or Giant Gorilla. Dunstanburgh Castle is an iconic castle ruin, once one of the largest and grandest fortifications in Northern England. 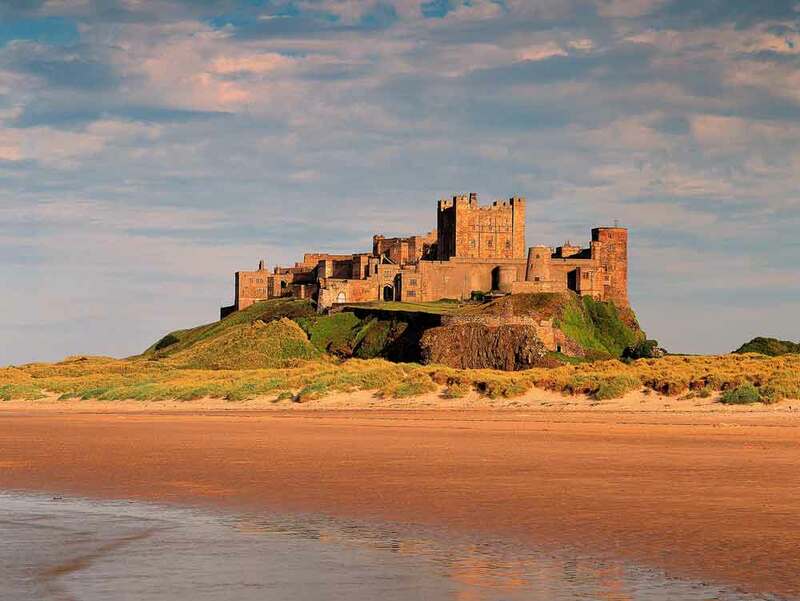 The castle dominates one of the most beautiful stretches of Northumberland coastline. The castle was built at a time when relations between King Edward II and his most powerful baron, Earl Thomas of Lancaster, had become openly hostile. Lancaster began the fortress in 1313, and the latest archaeological research indicates that he built it on a far grander scale than was recognised, perhaps more as a symbol of his opposition to the king than as a military stronghold. The earl failed to reach Dunstanburgh when his rebellion was defeated, and was taken and executed in 1322. Thereafter the castle passed eventually to John of Gaunt, who strengthened it against the Scots by converting the great twin towered gatehouse into a keep. The focus of fierce fighting was during the Wars of the Roses, it was twice besieged and captured by Yorkist forces, but subsequently fell into decay. 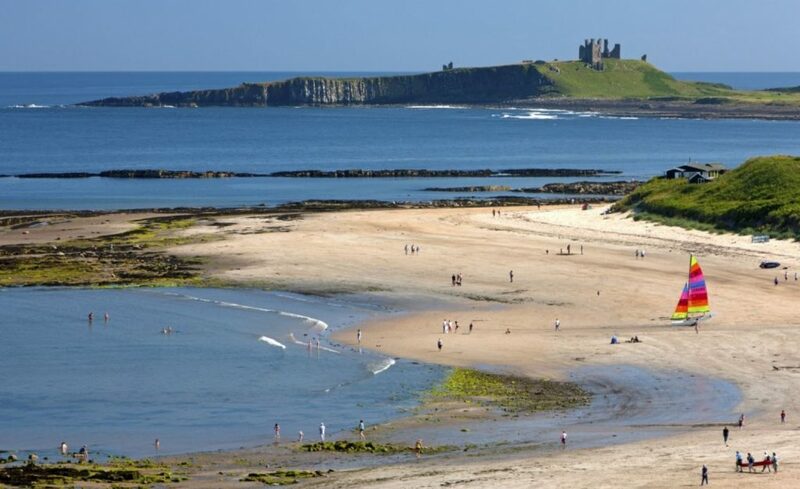 Many walkers enjoy the famous walk starting from the small fishing port of Craster, stretching along the Northumberland coast, passing the dramatic ruins of Dunstanburgh Castle, then (if you walk a little further) ending up at the beach at Low Newton by the Sea, where you can stop at the famous Ship Inn for some kipper pate and a pint. The walk is about 4.5 miles and is generally all flat ground and an easy walk. Although not a castle as such, the beautiful 12th century church of the Augustinian priory of Brinkburn survives completely roofed and restored and is magnificent to visit. Picturesquely set by a bend in the River Coquet, it is reached by a scenic five minute walk from the car park. Parts of the monastic buildings are incorporated into the elegant adjacent manor house. 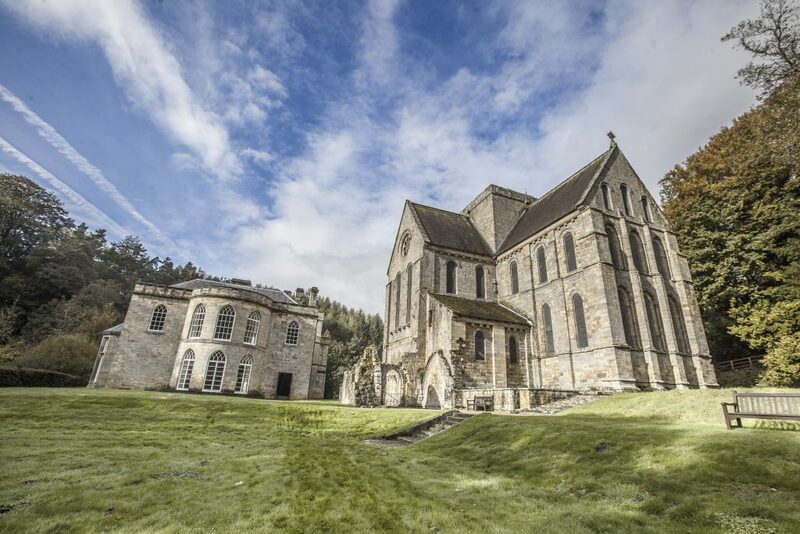 Brinkburn Priory weddings are very popular and we have accommodation close by too. Ford Castle dates back to the 14th Century. It fell into disrepair in the 16th Century and was later restored as a mansion. King James IV of Scotland spent his last night in the Castle before his defeat and death in the nearby Battle of Flodden Field. Written records start mentioning Ford after the Norman Conquest of 1066 when the manor of Ford belonged to the Heron family. A substantial stone castle had been built by 1287 in the context of the border warfare between the English and the Scots and in 1338 William Heron was granted permission to crenelate (create battlements) the castle. The current owners of Ford Castle are the Lord Joicey family who purchased the estate in 1907 and used the castle as their home until the start of the 2nd World War. After a period as a recuperation hospital and then a training centre for the Boys’ Club Association it opened on the 18th September 1956 as a residential centre for young people. Since 1956 Ford Castle has assisted and inspired thousands of young people to reach their potential through a combination of residential educational courses and outdoor activities. Harbottle Castle is now just a ruin but was once of great strategic importance. The castle was built under the orders of Henry II to aid the defence of Northumberland. In 1296 it is reputed to have withstood attack from an army 40,000 strong of the Earls of Atholl and Montieth. In Tudor times it was the residence of Lord Dacre and a historically important event took place in the castle. Henry VIII’s sister gave birth to a daughter who went on to become the grandmother of James VI of Scotland who became heir to the throne when Queen Elizabeth I died. Lindisfarne Castle was built in the 16th century to defend the Harbour of Holy Island. From a former fort to the holiday home of a wealthy Edwardian bachelor seeking a quiet retreat from London, the idyllic location of the Castle has intrigued and inspired for centuries. The renovation by Arts and Crafts architect Edwin Lutyens both hides and emphasises the old fort, all the while overlooking Gertrude Jekyll’s enchanting walled garden and the unexpected grandeur of the Lime Kilns, an imposing and striking reminder of Lindisfarne’s industrial past. Following the dissolution of the monasteries by Henry VIII, the Castle was built in the 1550’s using stones from the demolished Priory. In 1901, Edward Hudson (founder of Country Life magazine) negotiated its purchase from the Crown and in 1902 Sir Edwin Lutyens (the well-known architect) began the conversion to create the Edwardian country house you see today. As the castle is located on Holy Island, please check the causeway crossing times before you set out on your journey. Time times can be found in the Guest Information book in your cottage. 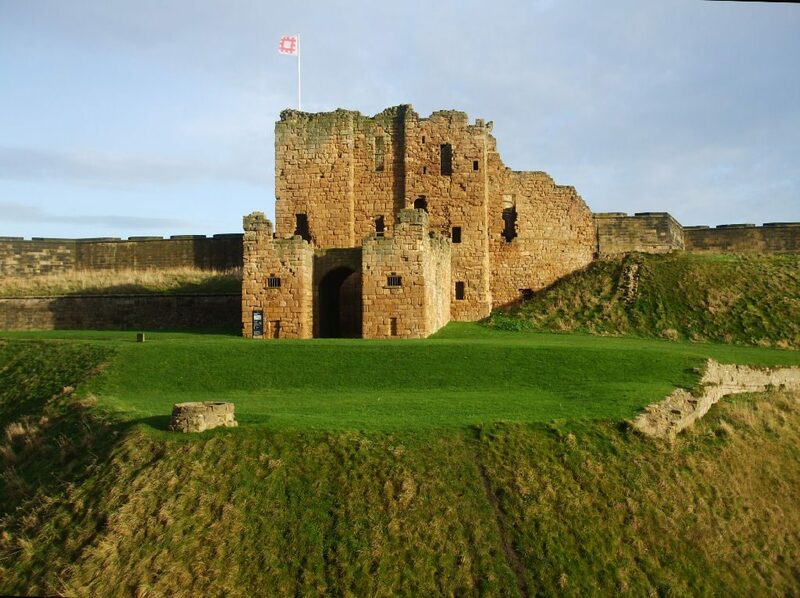 Although a little further in the car, Tynemouth Castle and Priory on the coast of North East England was once one of the largest fortified areas in England. Overlooking the North Sea and the River Tyne, it dominates the headland. With its 2000 year history and beautiful views it is the perfect location for a family fun day out. The interactive ‘Life in the Stronghold’ exhibition takes you on an exciting journey. It tells the story of the site from its original beginnings as an Anglo-Saxon settlement, an Anglican monastery, a royal castle, artillery fort and a coastal defence. The newly refurbished battery gun was designed to defend the Tyne in the First and Second World Wars and can be explored. Have a walk on the beach whilst you’re there and grab an ice cream on a sunny day! Warkworth Castle in its hilltop position dominates the village from every approach by road or river. Its history dates from Saxon times but it has been in various states of ruin since the 17th century. However The Keep was restored in the 19th century. The opening scene of Shakespeare’s play “Henry IV” was set in Warkworth Castle. 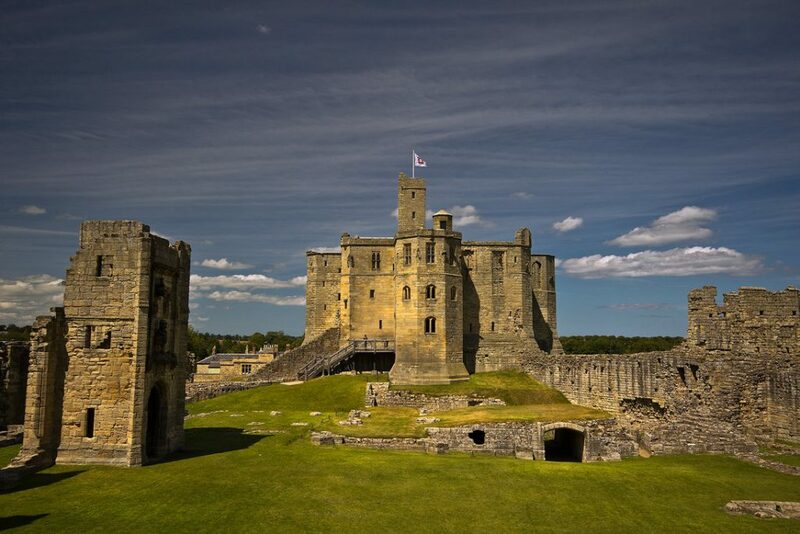 Once home to the powerful Percy family who now reside in Alnwick Castle, Warkworth was and remains one of the largest and most impressive fortresses in North East England. It was once home to Harry Hotspur, hero of many Border ballads and the bane of Scot raiders. The castle is managed by English Heritage and is open to visitors for audio tours and seasonal events throughout the year. Need a little help booking your break?